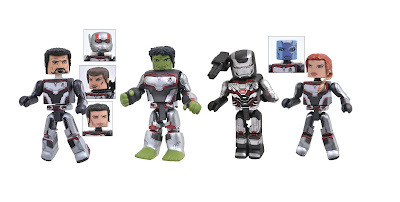 Diamond Select Toys has announced the newest box set in its popular Marvel Cinematic Universe Minimates toy line, and it’s based on the upcoming live action film, Avengers: Endgame! This movie is going to be epic, so you know the officially licensed toys need to be too. The Avengers: Endgame Minimates Box Set that will include Tony Stark, The Hulk, Black Widow and War Machine. What makes this Minimates set from DST really cool is all of the additional heads to create alternate characters! 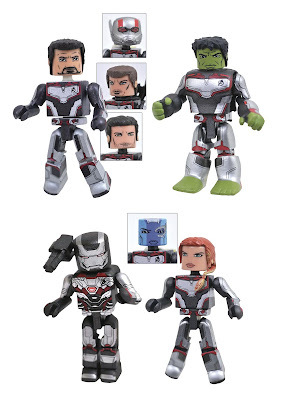 Black Widow’s head can be swapped to create Nebula, while Iron Man’s head can be swapped to create Hawkeye or Ant-Man. 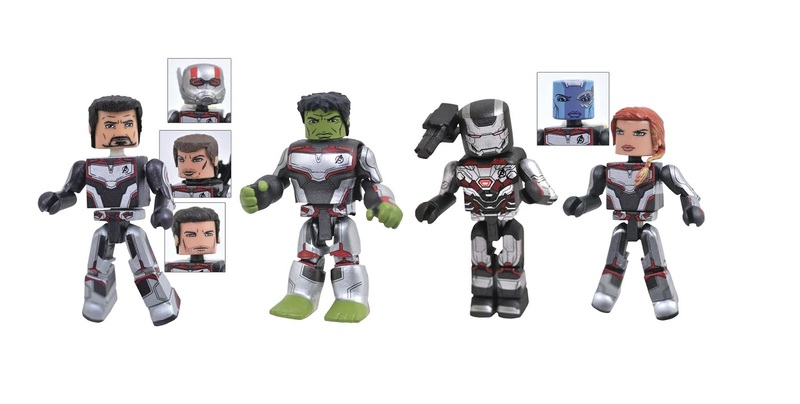 The Avengers: Endgame Marvel Minimates Box Set includes four 2” mini figures featuring 14 points of articulation and a variety of interchangeable parts and accessories. Fans can pre-order this movie accurate set now at Entertainment Earth for $19.99 here.